Get a personal introduction to Cairo’s most remarkable Islamic sites on a full-day, private walking tour of the Old City’s mosques, historic streets and madrasas with lunch at a local restaurant. 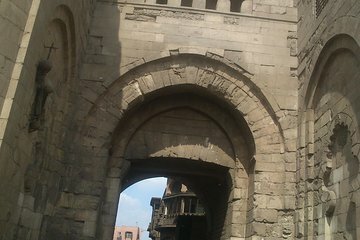 Explore over 1,000 years of Cairo history in the UNESCO-listed district, where ancient fortifications shelter a maze of narrow streets. Follow your guide to discover Old City Cairo’s highlights and hidden gems, with plenty of time to visit the places that interest you most.